Created by Patra Virasathienpornkul, Through the Lens is an interactive hybrid instrument that puts a digital animation and a physical drawing into a single space. 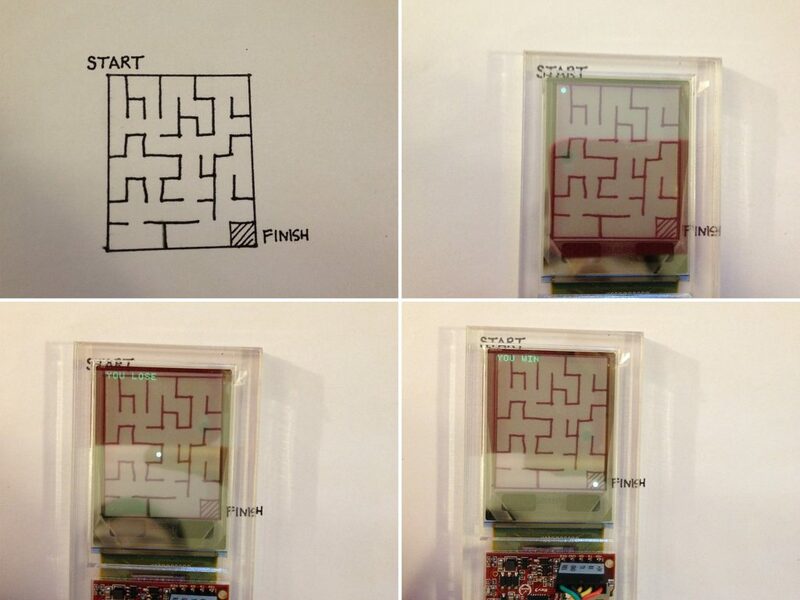 By placing an OLED transparent display on top of a drawn piece of paper, the device displays a digital interaction between an animation on the screen and the sketched pattern. The goal of this project is focused on understanding the possibilities and the limitations of the technology allowed by the organic light-emitting diode (OLED) display in order to create applications that are interesting, educational, and entertaining. A full project report is linked here. Through the Lens was supported by a microgrant from the Frank-Ratchye Fund for Art @ the Frontier (FRFAF)— an endowment founded to encourage the creation of innovative artworks by the faculty, students and staff of Carnegie Mellon University. With this fund, the STUDIO seeks to develop a cache of groundbreaking projects created at CMU — works that can be described as “thinking at the edges” of the intersection of disciplines. Patra Virasathienpornkul is currently a senior studying Mechanical Engineering at CMU.